I have constructed a 9:1 unbalanced to unbalanced (unun) impedance transformer based on a published design by Peter VK6YSF. 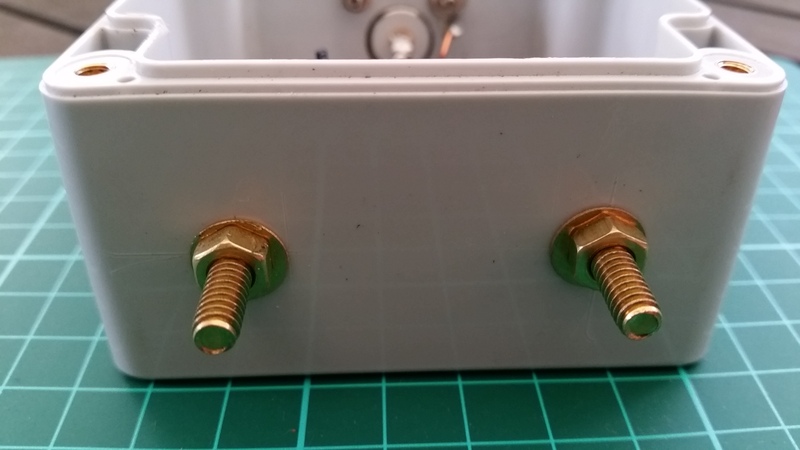 Over the next six months or so my plan is to experiment with an Inverted V end fed antenna for 80 to 17m, I’m not aiming for transmission on 12 and 10m. My current 80m SOTA antenna is a home-brew half wave inverted V dipole, which will be useful as a baseline to compare an end fed arrangement on a hilltop. 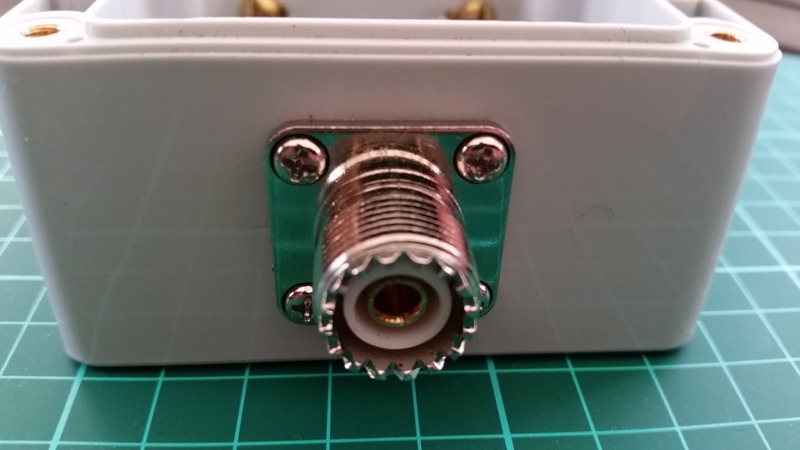 BTW there is nothing wrong with my 80m half wave dipole, I just like to experiment with different antenna options, after all our hobby amateur radio encourages experimentation and home-brew construction methods. 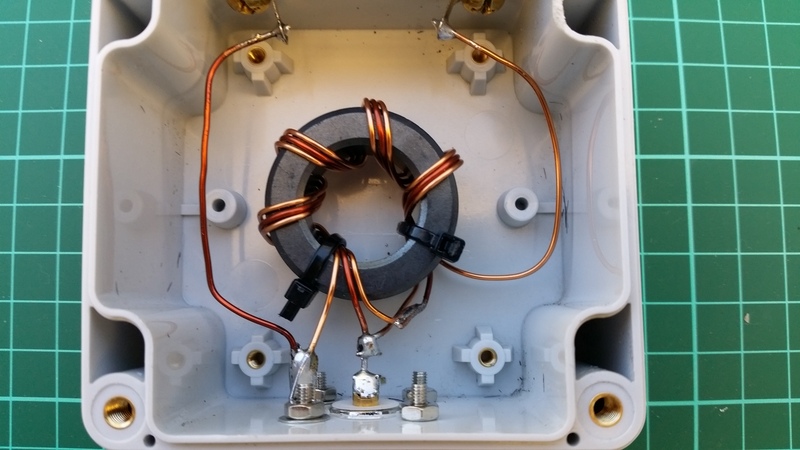 Brand name wire antennas and baluns can be constructed at home. Post update 15 October 2017. I have combined the 9:1 impedance transformer with three different Inverted V antenna lengths, 18.7 metres, 23 metres and 27.2 metres with the Inverted V appex at 9 metres above ground level. The feed line is a 3.5 metre length of RG58CU Mil Spec. 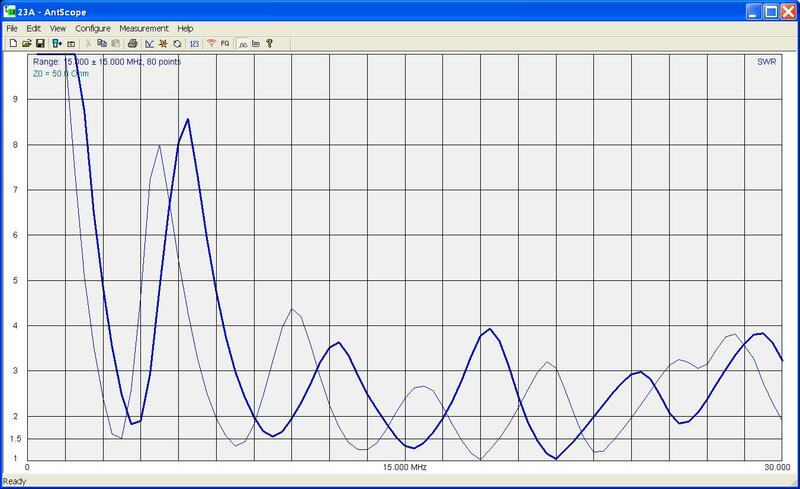 My test instrument is a RigExpert AA-600 analyser. 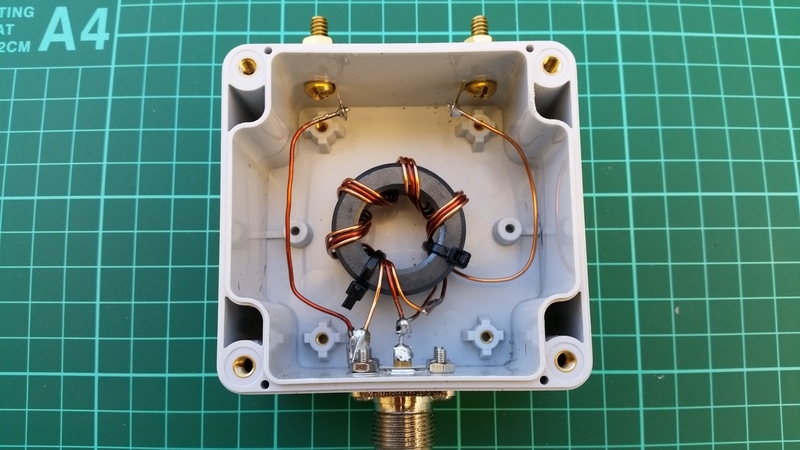 Testing of the input impedance between 1.8 MHz and 30 MHz, as seen by a radio at 50 ohms, produces a good VSWR match with the antenna terminals terminated in a 450 ohm resistive load. 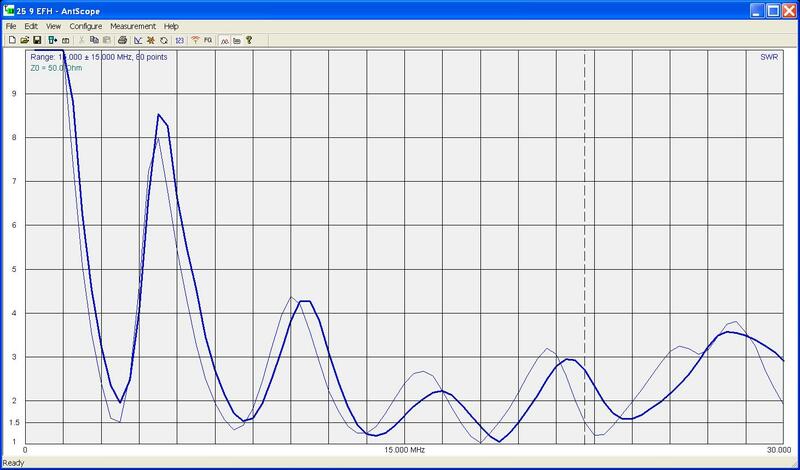 VSWR graph (0 to 30 MHz) of the 9:1 impedance transformer combined with a 27.2 metre Inverted V antenna. Antenna appex is 9 metres above ground level while the far end is 2 metres above ground. The feedpoint 9:1 impedance transformer is about 50 centimetres above ground. I will experiment further with antenna lengths at 25 and 26 metres. Post update 1 Nov 17. I have worked ZL on 20m and VK2 on 80m using a wire length of 25.9 metres. Post update 26 Dec 17. I have update this page to include an updated VSWR plot below. 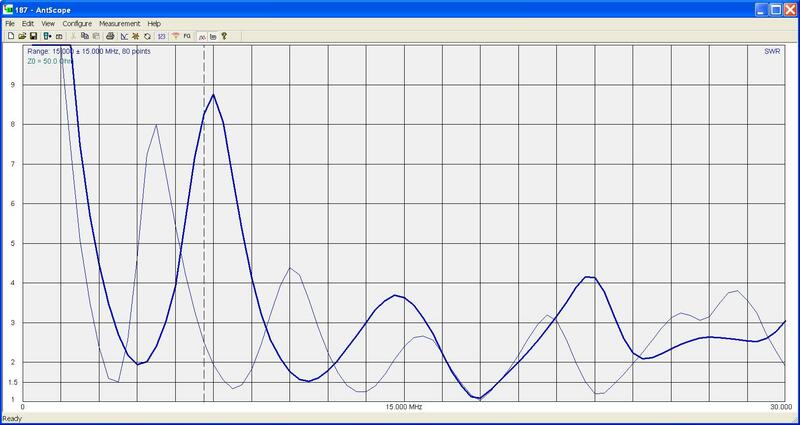 Compare the results of the 25.9 long wire below versus 27.2 metre long wire antenna above. I think I will revert back to 27 metres.